The U.S. dollar had another difficult week as it depreciated against most major pairs. Central banks remained on the sidelines as the Bank of Japan (BOJ), U.S. Federal Reserve and Bank of England (BoE) all left their monetary policies unchanged awaiting further data. The Reserve Bank of Australia (RBA) is up next on Monday, February 6 at 10:30 pm EST. It is anticipated the RBA will not make any changes on its February meeting. Brexit cleared another hurdle as the British Parliament approved the bill allowing the Prime Minister to trigger article 50. Up next is a debate in the Commons, before it is voted but the majority win in Parliament sends a strong signal as the exit from the E.U. could be triggered before the end of the month. Trade has been a hot topic of late, which gives higher priority to global trade data to be released this week. Canadian and American trade balances will be published on Tuesday, February 7 at 8:30 am EST. Given the emphasis U.S. President Donald Trump has put on what is fair and not regarding American trade the release of the figures could spark another round of comments on the subject. China is also due to release its trade balance on Thursday, February 9. The EUR/USD rose 0.812 percent in the week. 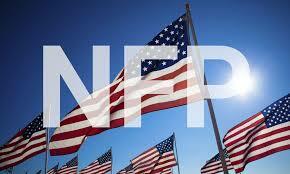 The single currency is trading at 1.0790 after the release of the January U.S. non farm payrolls (NFP) report. The U.S. added 227,000 jobs way above the expected 175,000 but the tepid wage growth and its lack of inflationary pressure pushed back the need for the U.S. Federal Reserve to hike rates. The Fed had already delivered a noncommittal statement on Wednesday. A soft wage growth component and comments of a more gradual pace by Chicago Fed President and FOMC voting member Charles Evans on Friday depreciated the dollar. The lack of focus from the Trump administration on pro-growth policies in favor of fulfilling some of his more divisive campaign promises have hurt the dollar. Friday afternoon’s signing of an executive order to reform financial regulation boosted the Financial sector as a laxer regulatory environment is anticipated during Trump’s presidency. European data has improved boosting the EUR, the biggest surprise has been the negative results out of Germany but as a whole inflation in the European Union has improved with encouraging employment numbers. Gold rose 2.537 percent in the last 5 days. The precious metal is trading at $1,218.94 after U.S. President Donald Trump’s comments and diplomatic blunders made investors seek cover. The lack of a solid jobs report in the United States kept the yellow metal bid as it pushes back the monetary policy tightening timetable for the Fed. The strong number of jobs was not matched by growing wages, which has a higher inflationary pressure going forward. The more President Trump sticks with a combative agenda focused on trade and immigration and less on fiscal stimulus and infrastructure spending the higher the price of gold could go as investors sell the dollar. Oil rose 1.898 percent in a weekly basis. The price of West Texas is $53.9 per barrel in a volatile week. Energy touched weekly lows of $51.70 and ended the week near highs of $53.82. The rise of U.S. inventories did little to offset higher prices resulting from the Organization of the Petroleum Exporting Countries (OPEC) production cut agreement. Trump’s comments about Iran sparked a rally in oil prices as the lifting of sanctions had increased global supply only to be curbed by the OPEC deal. Oil prices are still under threat of an increase of U.S. shale production as there is no agreement to keep production at a certain level, unlike OPEC and non OPEC producers like Russia. U.S. crude inventories rose by 6.5 million barrels nearly doubling the weekly forecast. The USD/MXN lost 2.502 percent this week. The peso is trading at 20.38 versus the dollar. The Mexican currency bounced back after the market is uncertain how much stock to put on Donald Trump’s comments made on twitter. The innovative tactics used by the recently inaugurated President have kept peso traders on their toes. The emerging market currency had been a proxy for others going into the elections and rose in prominence and volatility after then candidate Donald Trump put the building of a Wall between Mexico and the United States as a key promise of his campaign. Compounding risk on the Mexican currency was also Trump’s comments about NAFTA and his anti-trade agenda. The Mexican peso have been decoupled from economic fundamentals and were are the mercy of rhetoric, but as the market has made it clear it expects Trump to move forward on fiscal stimulus and infrastructure the dollar has depreciated. The peso has been one of the strongest currencies since the end of January, but still remains 9 percent lower than on November 5 when Donald Trump was elected.